Levitus Wimbish was born into and raised in the Baptist Church. The son of a preacher, he spent most of his youth as a typical PK, searching for his identity struggling against what he knew was right, but as it is written in Proverbs 22:6, “Train up a child in the way that he should go, And when he is old he will not depart from it.” Levitus became a musician in the church at the age of 12 and by the year 2000, just before his 18th birthday he preached his initial sermon. 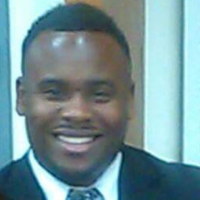 Levitus is currently an associate minister and worship leader at the Community Bible Baptist Church under the mentorship of the Rev., Dr. Clevester O. Wimbish. He is married to a beautiful Psalmist Kila, and has with three talented girls. He is also a DC fireman, called to rescue people from emergencies both physically and spiritually. Levitus' philosophy in life is that we are all called to serve, and the happiest and most fulfilled people have figured out where.